If you are looking into taking up .22 Small Bore Target Shooting and .177 Air Rifle/Pistol Shooting please head to the "Starting Shooting" section on the left menu. It will tell you all you need to know about joining our club and what we can offer to new members. While we are a Growing club we are very active locally with general club sessions, at a county level and at National Championships, with members winning many trophies. 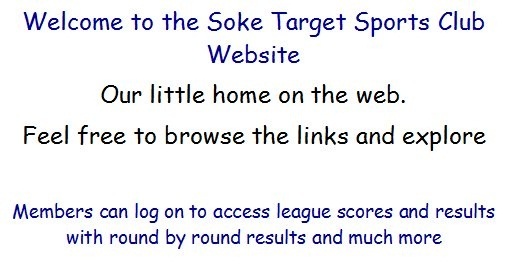 Target shooting is an Olympic Sport and the Soke Target Sports Club is committed to developing this exciting and rewarding activity in the Peterborough and Huntingdonshire area. We promote a safe and responsible approach to the use of all target sports equipment.